Stuart, Florida, March 20, 2019: AmondaRose Igoe, a Stuart based international award-winning speaker coach, trainer, and high impact speaking consultant offers live speaker training for public speakers, motivational speakers, professional speakers, and entrepreneurs who want to magnetize their audience, grow their business quickly, create new leads and sales, attract their ideal client, feel confident about giving presentations, and monetize their message. The Empowered Speaker Event is held from April 5 – 7, 2019, in Hutchinson Island, Stuart, Florida, and includes a general speaker training from April 6 – 7 and a VIP ticket training option from April 5 – 7. For more information about AmondaRose Empowered Speaker Event, please contact her at (800) 610-9056. About High Impact Speaking Training & Consulting: High Performance Speaking Training and Consulting provides innovative speaker training and proven step-by-step presentation coaching programs. Their national and international speaker clients quickly increase their bookings, business sales and leads by learning powerful and highly effective speaking strategies that will help them communicate their ideas in clear, captivating and compelling ways. 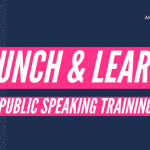 To ensure their client’s speaking success, they train them on step-by-step presentation systems, examples and scripts detailing exactly what speakers need to say and do when presenting. If you are looking for private speaker training and presentation coaching, you can apply for a thirty-minute complimentary strategy session here.